I'm definitely a fan of the CH house of fragrances. Having been a 212 VIP fan, I had been wanting to try CH, also because of its ultra luxe packaging. The fragrance is warm and woody and definitely my month's pick for a day wear fragrance. Price: Rs. 5000/- (more or less) for 100 ml. These two babies that I recently picked while street shopping in Delhi are my current favourite accessories. The rustic silver feel and the spiraling geometric shapes had me in a heartbeat. As fabulous as they look with a shirt and a pair of shorts, they also look as stunning with a lovely kurti and pajama! My work accessory favorites, this month. :) Price: Rs. 150/- (INR) for each. 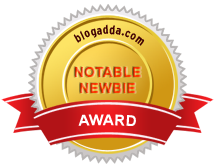 Its an honest attempt to bring in posts of all categories for all my different readers. So while I love sharing my outfits with you'll, make up, beauty products, accessories, travel, books, food make up as much of my interests as the former. Tell me if you find the reviews useful and what are your favourite September picks. MAC is always woth investing in:-) love the rings! Thanks Kalyani! :) And I agree, most MAC products are good investments. Oooh, do tell me what you think of the lipstick. :) Will drop by your blog. MAC always rockks!!! love love love MAC!!! My sister uses that fragrance. Its really good.